Phnom Penh, Cambodia – Forty years ago on Monday, Vietnamese tanks rolled through Phnom Penh, a city that had been a near ghost town during the genocidal Khmer Rouge, to signal the overthrow of the regime of Pol Pot, the ultra-communists’ leader who managed to escape in a jeep at the last minute. It was the end of three years, eight months and 20 days of terror that had resulted in the deaths of an estimated 1.7 million Cambodians. 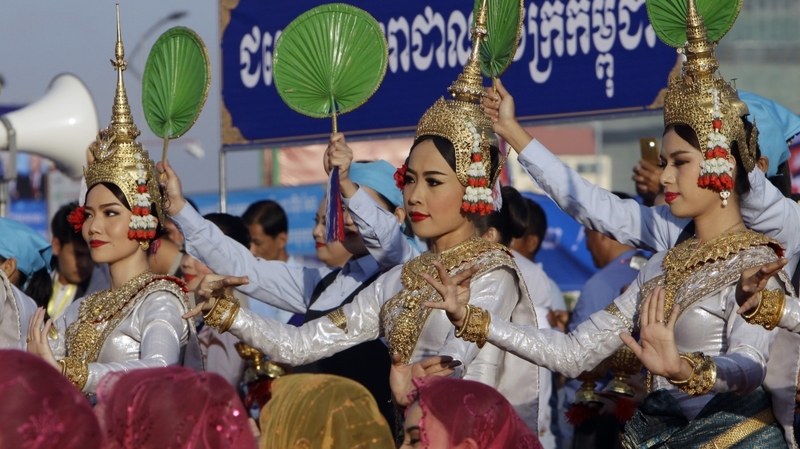 Large celebrations will take place at the Cambodian capital’s Olympic Stadium on Monday to mark “Victory Over Genocide Day”. Prime Minister Hun Sen, a former Khmer Rouge commander who defected and helped overthrow them, is expected to deliver a speech lauding January 7 as the moment the country was saved from Pol Pot’s murderous clutches. 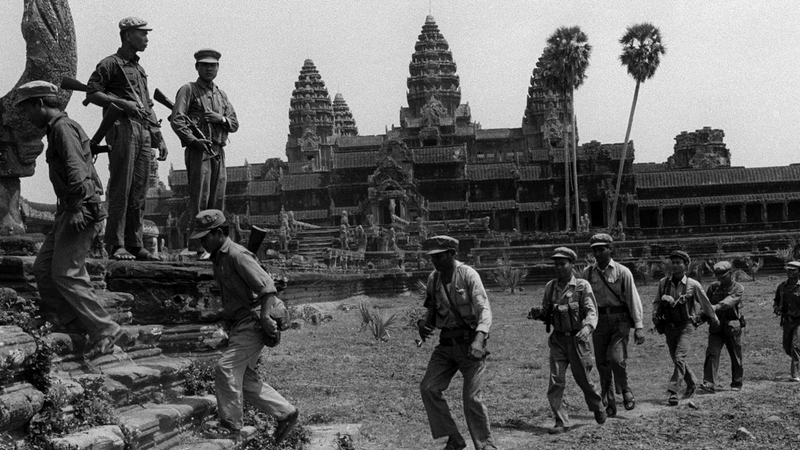 But while on the surface the overthrow of one of the 20th century’s most brutal regimes should be a reason to celebrate, Cambodian politics are not as straightforward. 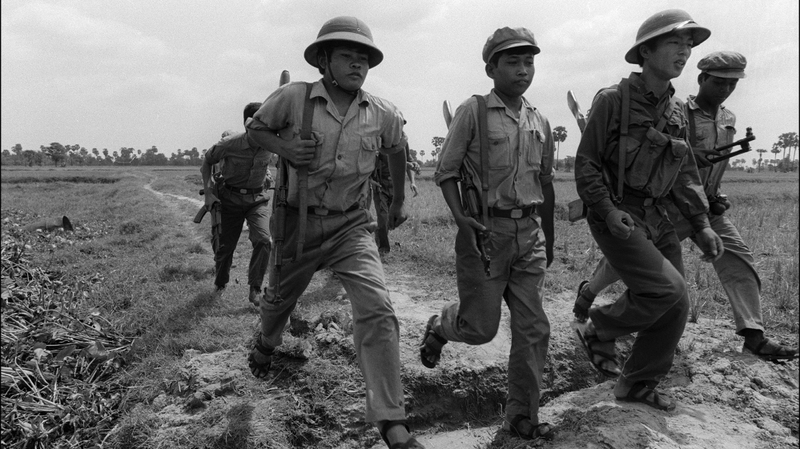 The invasion had been in response to ruthless cross-border killings by the Khmer Rouge in Vietnam. Vietnamese forces, who were assisted by a far smaller group of former Khmer Rouge defectors, overthrew the Pol Pot regime with relative ease, although the civil war trudged on for another two decades. But rather than see the day as a liberation, the ruling party’s detractors, including Sam Rainsy, the exiled acting leader of the dissolved opposition Cambodia National Rescue Party (CNRP), have branded January 7 as the start of an occupation by an historic enemy. Vietnamese forces did not leave Cambodian soil until 1989 and during that period installed Hun Sen as prime minister, a position he has retained since 1985. “Whatever they might say in private, the country has virtually no political figure who acts and speaks independently of these two views,” reads the 2017 paper “Moving Beyond The January 7 Narratives” by the Future Forum think-tank. Government spokesperson Phay Siphan credits January 7 with saving his life. “Without Vietnam, I was about to get killed right away because I was in jail already. At that time I told them I was a student, they put almost everybody in jail,” Siphan said. Siphan said Sam Rainsy, who has long taunted Hun Sen with accusations of being a Vietnamese puppet, had no understanding of the importance of January 7 due to not living under the Pol Pot regime. “Sam Rainsy was living abroad; they never came across the suffering from the killings of the Khmer Rouge. They don’t care,” he said, pointing out that prominent opposition figures allied themselves with the Khmer Rouge in the 1980s. Meas Nee, a prominent Cambodian political analyst, also has little doubt of his fate had the Vietnamese not invaded. “My family’s name was already on the blacklist to be killed,” Nee said. The reason for Nee and his family being targeted was simple. They were deemed “new people” and had been placed in a “re-education village” near the Vietnamese border due to being educated – a serious red flag in the eyes of the Khmer Rouge. Nee and his family followed the Vietnamese for around 15km as forces poured across the border, sending the Khmer Rouge scarpering west. “It was dark … and later the Vietnamese and the Khmer Rouge passed during the night while we were in the bush. We were sitting, seeing hundreds of Vietnamese army trucks pass by,” he said. After a couple of nights hiding in the forest, Nee and his family returned to their village and started the task of rebuilding their lives. Like many Cambodians, Nee believes the truth of January 7 can be found somewhere between the “liberation” and “occupation” narratives. While appreciating the role some in Hun Sen’s ruling Cambodian People’s Party played in overthrowing the Khmer Rouge, many in the country do not look back on the ensuing occupation with fond memories, he pointed out. “More people decided to escape to the refugee camps in Thailand because they were scared that another communist state would be installed in Cambodia,” Nee said. The Vietnamese would have occupied the country for longer than 10 years had it not been down to international pressure, he said. A notable critic of the Vietnamese occupation was Pen Sovann, who was installed as prime minister of Cambodia by the Vietnamese in 1981 before being removed and jailed for 10 years. He later joined the CNRP in 2012 before passing away four years later. “January 7 was a victory day but also a sad day [because] Vietnam violated Cambodian autonomy,” Sovann told The Phnom Penh Post in 2001. Cambodia, including Phnom Penh, has changed beyond recognition from the devastation left in the wake of the Khmer Rouge in 1979. 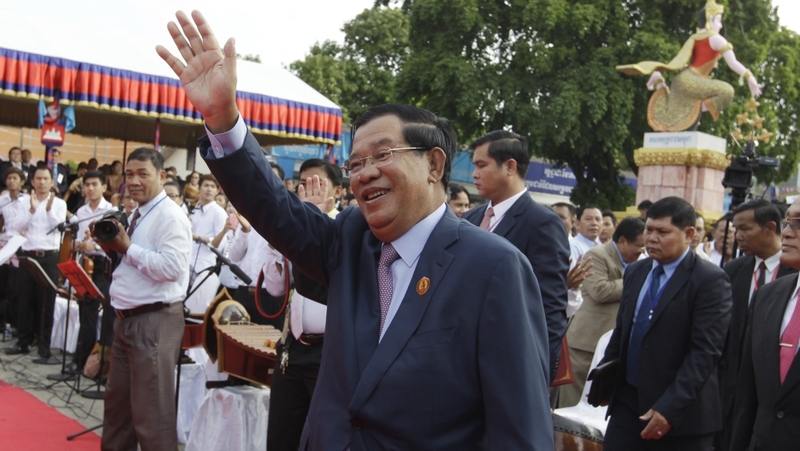 Terms such as “stability” and “peace” have long been buzzwords for Hun Sen, who has presented himself as the national saviour and the only true representative of the Cambodian people. But while there has been considerable economic growth on Hun Sen’s watch, many young people have become tired of a lack of opportunities, widespread corruption and continued authoritarianism at the hands of a prime minister who has been accused of overseeing widespread human rights abuses. The CNRP tapped into this discontent and came within seven seats of a shock victory in the 2013 general election, before making hefty gains in local elections four years later. Then, in what many saw as a cynical move to assure victory in 2018 general election, the CNRP was outlawed and its president, Kem Sokha, thrown in jail on widely discredited claims he was attempting to wage a revolution. Sam Rainsy, who has vowed to return to Cambodia despite facing jail on convictions widely thought to be politically charged, said that January 7 was becoming “more and more controversial in the eyes of the population”. “It is not like under the communist regime during the Cold War when the only possible reasoning had to be in line with the official propaganda,” he said. Sam Rainsy did, however, argue that January 7 rhetoric was losing its appeal with the younger generation. Sophal Ear, a Cambodian-US professor of diplomacy and world affairs at Occidental College who escaped the Khmer Rouge as a child, agreed with Sam Rainsy, but pointed out that the acting opposition leader had also refused to drop the issue. “I don’t think he’s ready to stop exploiting 7 January either as trigger for Vietnam and the Vietnamese,” Ear said. But Hun Sen’s efforts to paint himself as a national saviour did not make sense for young people who had never known war, genocide or the origins of the ruling party, he added. “However, I think it’s woven into the identity of the party,” he said.